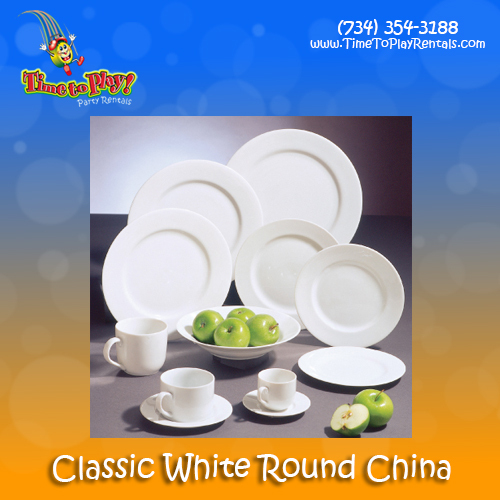 Our china is both classic and versatile! Our Classic White Round China is a versatile collection of matching pieces, with a dish for every desire. Our china is a staple at any event, with a style that lets the food do the talking! We offer dinner, salad, dessert, bread & butter, and hors d’oeuvres plates, and coffee cups and saucers.